Quite accidently, I’ve discovered the formula for Disney. As a joke, I got pictures of me, made up as the Ghost of Christmas Future, with the happy little kids in the play with fearful faces. It seemed the kids were drawn to me, playing high-five-down-low-too-slow and what not. Every kid wants to have a friendly monster as a friend. I was the monster. But here’s the flipside. If kids like it, so do monsters. The beast gets turned into a prince. The bad guy becomes good. Innocent love executes a transformation. Who wouldn’t want to restore to the pristine innocence and untainted joy his monster soul? That’s why Jesus was was “without sin.” His love is pure, uncontaminated, simple childlike glee. Jesus says we must come to Him like children. We can shed the burdensome cynicism of being an adult. We can leave behind sin like a snake its skin. This Christmas, accept the best gift you could ever receive, the Giver of gifts. Of course, our church Christmas play was very much along the Scoorgian lines. While I was waiting my role backstage, my mind was running through a completely different plot. The butterfly is a symbol of the new birth in Christ. He starts as an ugly worm and gets transformed into the most beautiful and delicate of insects. Such is the transformation Christ brings when you receive Him into your heart. Jesus says that in order to receive the Kingdom of God, one must undergo this miraculous and instantaneous transformation from unbeliever to believer. You’ve been fighting it for years. You’re in denial. You don’t need to change; it’s your spouse. You don’t need to change your diet. You don’t need to seek God. But the wrong-doing — even when you insist you’re doing nothing wrong — catches up with all of us. And we have to make a change. I rejoice at seeing chubby people at the gym. They got a bit out of hand, but they are taking control of their lives. I recently met a man who gave up sugar and goes to the gym. He’s off the myriad daily pills his doctor gave him before. And he looks a lot younger than he is. It’s time to turn to God. Don’t fear the changes in your life. They will bring good results to your life. *I don’t own the image, and I’m not making any money on it. This is the oft-overlooked part of the gospel. God changes people. I thank God I’m not the same, that my sin is not my identity. I’m so glad there is a Higher Power that can endow me with power to become what I want, a worthy servant of the Most High. Thank God for His effectual power to transform people. 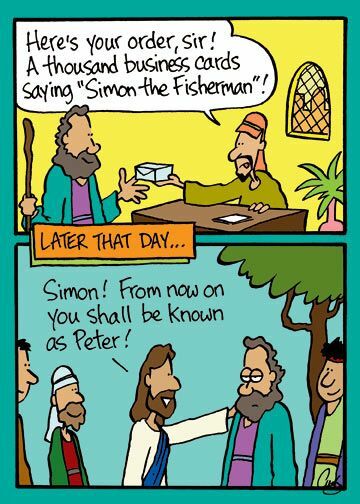 Sometimes in the Bible, the transformation wrought was so revolutionary that God even changed the person’s name. Thus, Abraam became Abraham; Jacob, Israel; and Simon, Peter. Tino was one of those drunks who you stepped over, who slept in his urine on the streets in Guatemala. You expected him to wake up dead after a cuttingly cold night. You tried not to think about it. Ismael talked to him about Jesus and offered him a place to sleep. Tino got saved. As a missionary, I had a soft spot in my heart for Tino. We let him sleep at the church as a guard. We gave him food. I let him play worship on his guitar in service, a throwback type Christian music. He became Tio Tino — Uncle Tino — for everybody. On this trip to Guatemala, I was astonished at just how far the transformation has gone. Now, Tino leads outreach everyday, which his only honkytonk guitar, just off the edge of the Central Plaza. Everybody joined him on Sunday to street-preach. He’s back on the streets, no longer homeless in a stupor, like Joshua establishing dominion, reaching out to others who are in the condition he left behind.